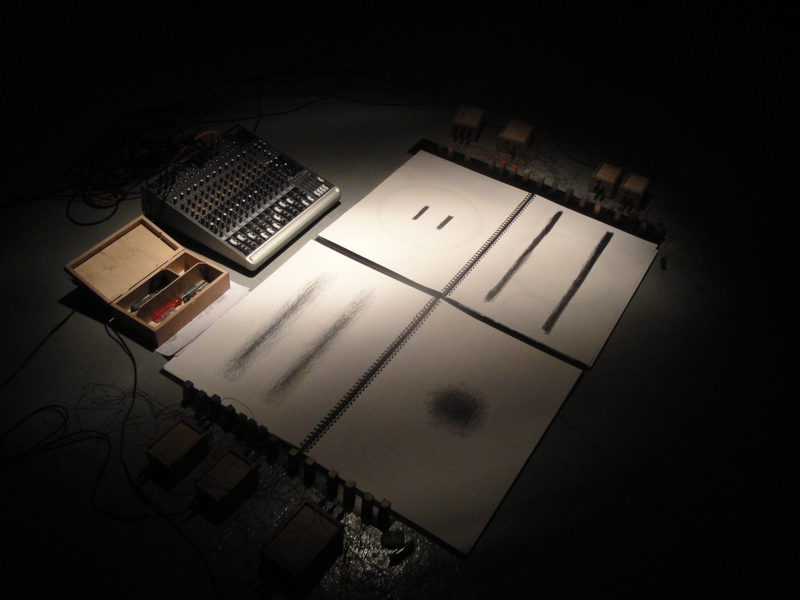 Ground (Jeroen Uyttendaele) is an audiovisual performance in which graphite drawings are used as control interface for several electronic instruments. Graphite is a conductor for electricity. By using it as a variable resistor (instead of a standard knob) the pitch, amplitude and sound color of sound generators can be controlled. 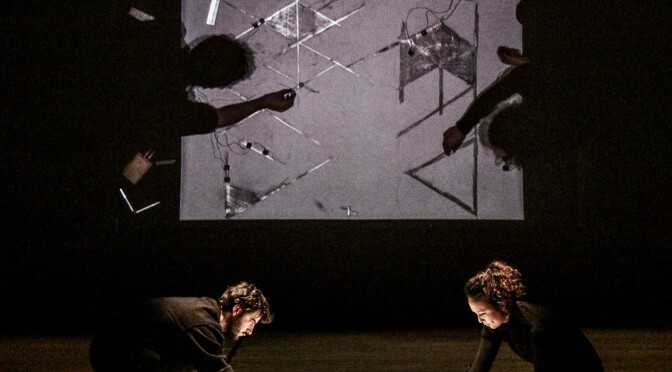 In this way Ground offers a field of possibilities in which auditive and visual elements are interconnected. 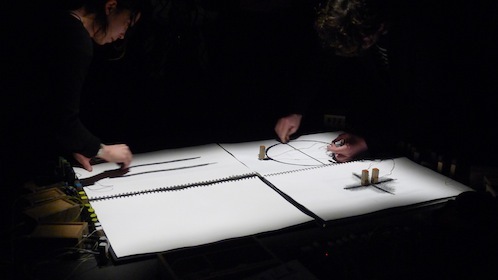 Drawing, erasing, touching and slowly or rapidly (re)positioning the instruments on the drawing have a direct auditive result. 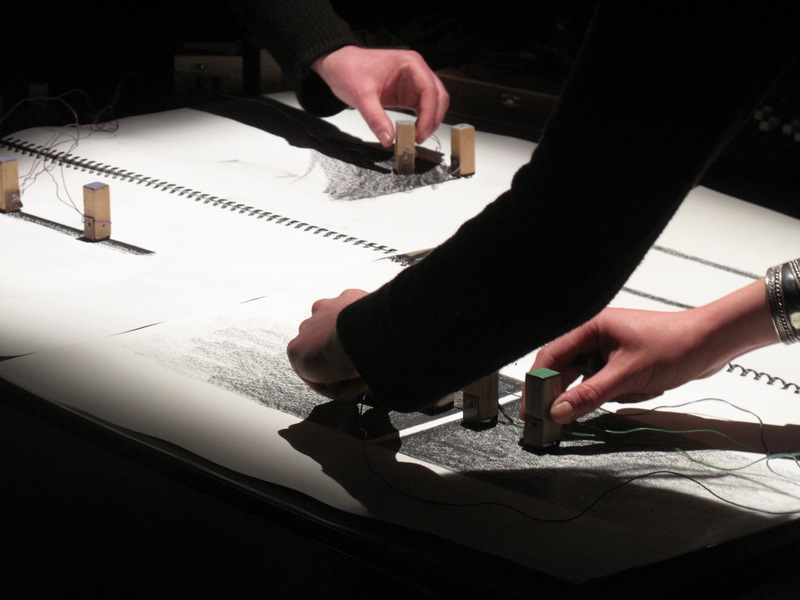 Live electronic music becomes an explicitly tangible and open practice. Book of 60 pages + DVD out in early February on audioMER.